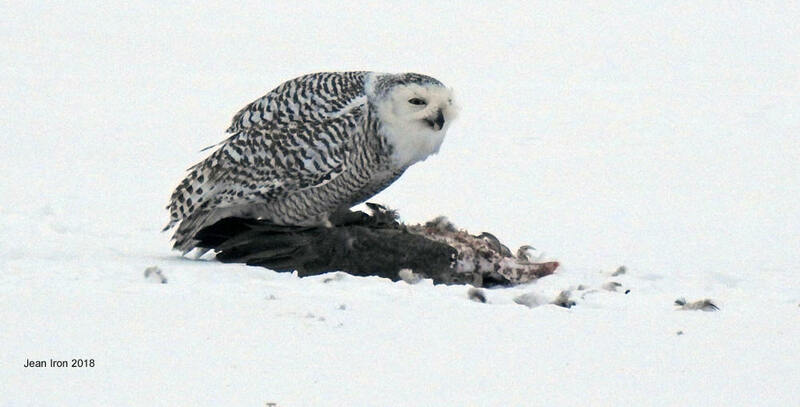 This first winter female Snowy Owl ate the frozen solid carcass of either a Black Duck or Great Black-backed Gull on the ice at Frenchman's Bay in Pickering near Toronto. It was bitterly cold and late in the afternoon when the owl appeared on 18 January 2018. 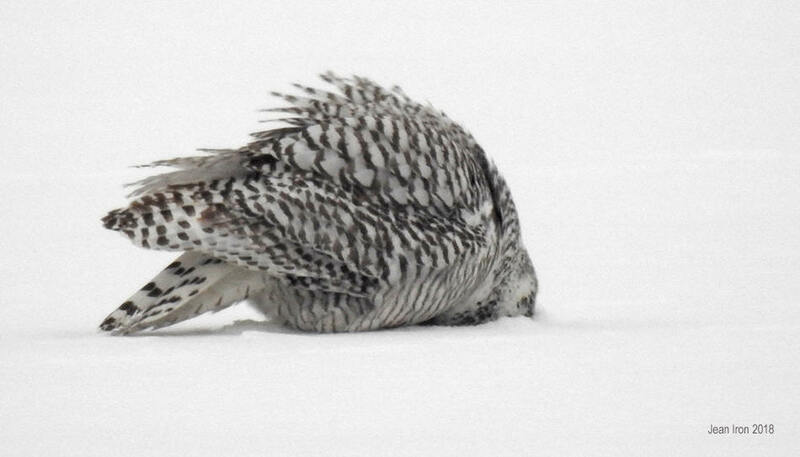 Feathers flew everywhere as the Snowy tore off bits of flesh. SEE VIDEO where the Snowy plunges its bill and face in the snow to clean it. Frenchmans Bay in Pickering on 18 January 2018.